Flurry,mobile application services company in November announced that China was on path to top the U.S. and Android market in the first quarter of 2013. 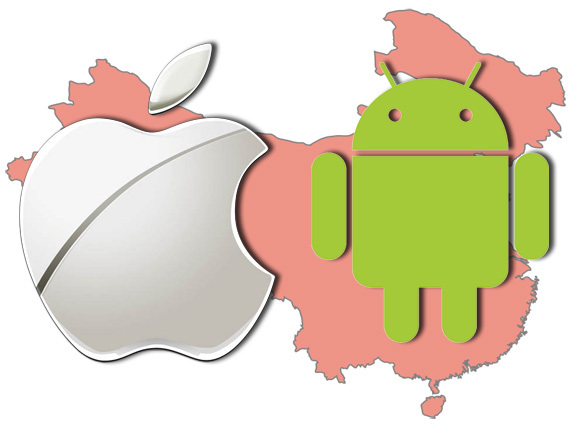 Flurry,today announced that China has overcome the U.S. to achieve the world’s top country spot for Android and Apple’s iOS smartphones and tablets market.Last year China was declared the world’s fastest growing smart device market in the world. Flurry report is based on entire data set of over 2.4 billion anonymous and aggregated application session on daily basis across over 275,000 apps around the world. Flurry says that it reliably measures daily activity in over 90 per cent of the world’s smart devices. U.S. and China were neck-to-neck in January this year,in terms of active smart device installed base,standing at 222 millions and 221 millions, respectively. By the end of February, Flurry estimates that it will be 230 million in U.S. verses 246 million in China. More significantly the U.S. will not regain the lead after this major shift occurs, as the size of China’s population is well over that of U>S(China= 1.3 billion people vs U.S.=310 million). Report also highlighted that the main rival to China in upcoming days would be India, with population of just over 1.2 billion people. But in India there are only 19 million active devices. Of the top 1ten countries in terms of active iOS and Android devices, U.S. and China are on top followed by U.K. which also continue to see fast active device adoption, says Flurry. The U.S. adding overall 55 million devices from Jan 2012 to Jan 2013. In comparison to China that added over 150 million.